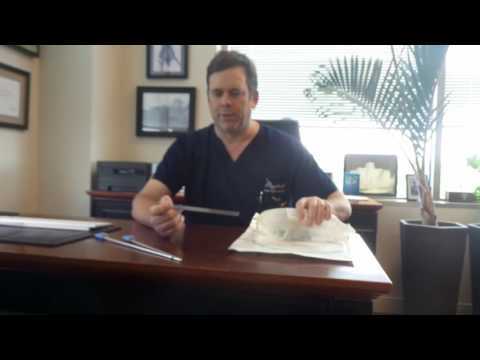 Dr. Mountcastle explaining the process of laser lipo. First breaking up and melting the fat with a laser. This part, we are applying the laser to the deep tissue, to the fatty tissue. We're melting it and as we progressively go along, it gets easier and easier to push through the fat as the fat melts. We're also sawing through it from the side. I'm using this like a saw, had to saw through some of the little fat particles and the particles to really break it up. Then you go deep, and then you go superficial, and you go back and forth.